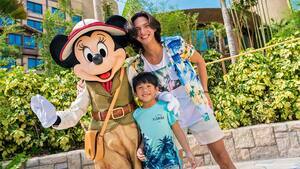 Guests staying at Hong Kong Disneyland Resort’s three hotels are invited to join fun activities throughout the day at the recreation facilities of the hotels. 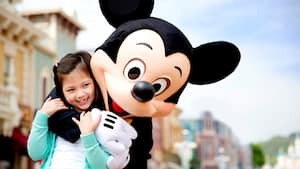 Young guests can participate in Recreation Arts & Crafts and make their own handmade Disney crafts, families can meet some of their favorite Disney Friends and so much more! 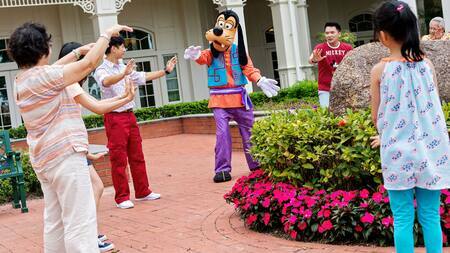 Join Goofy for a morning tai chi exercise at the Hong Kong Disneyland Hotel to start your day with extra energy! Surround yourself with the glitz and grandeur of classic Hollywood and enjoy watching a Disney movie in the Studio Lounge. Guests can enjoy a morning Recreation Arts & Crafts session in the Malibu Games recreation room at Disney’s Hollywood Hotel. Guests can enjoy a morning Recreation Arts & Crafts session in the Malibu Games recreation room at Disney’s Hollywood Hotel. 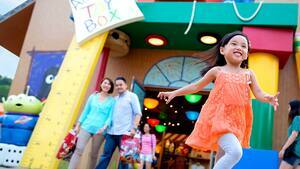 Then in the afternoon, take part in “Free Fun Play” to play arcade games completely for free at designated timeslots. Let’s explore together! 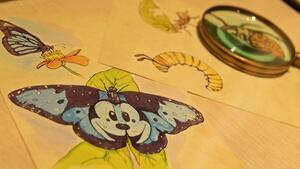 Amongst the artifacts and precious collections of fellow explorers, lots of Hidden Mickeys are waiting to be found. Embark on a dynamic adventure with all the glitz and grandeur of classic Hollywood. A Disney Friend is ready to have fun with Guests at an afternoon poolside party at the Rain Drop Pool in the resort’s all-new hotel, Disney Explorers Lodge. 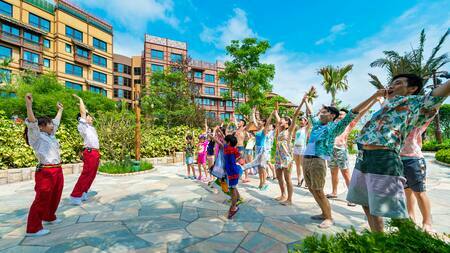 Our Cast Members will lead cool games and activities around the pool while guests may also splash around! Let’s explore together! 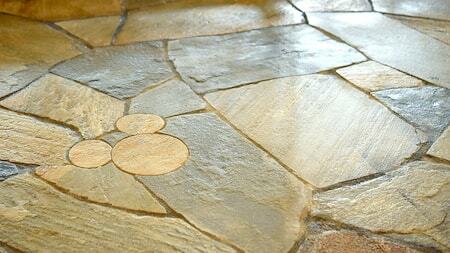 Amongst the artifacts and precious collections of fellow explorers, lots of Hidden Mickeys are waiting to be found. 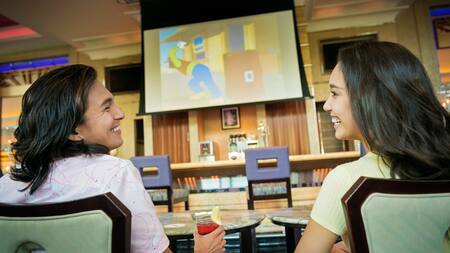 Led by our Cast Members, you will discover these surprises all around Disney Explorers Lodge. Be sure to have your camera ready to take some memorable pictures! Embark on a dynamic adventure with all the glitz and grandeur of classic Hollywood. Our Cast Members will lead various fun mini challenges and bring little Guests onto the Hollywood Boulevard for exciting outdoor games including a thrilling electrical vehicle ride! Young Guests can also step into a journey of natural exploration at the hotel as they learn about all kinds of plants and cultures in four themed gardens: Kevin Garden, Little Squirt Garden, Hathi Jr. Garden and Rafiki Garden. They can commemorate their adventure by collecting four special stamps for each region. Get ready for a fun-filled evening at Storybook Playroom! 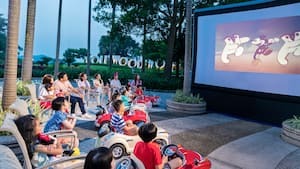 Guests can also head over to the Piano Pool and enjoy classic Disney movies at the Disney Movie Premiere while their little ones sit in miniature cars just like a good ol’ fashioned American drive-in theater. 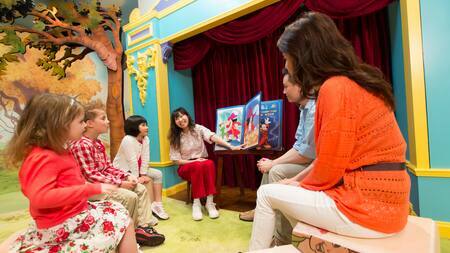 In the evening, young Guests at any of the hotels can head over to Hong Kong Disneyland Hotel to participate in “Disney's Story Time” at the Storybook Playroom. 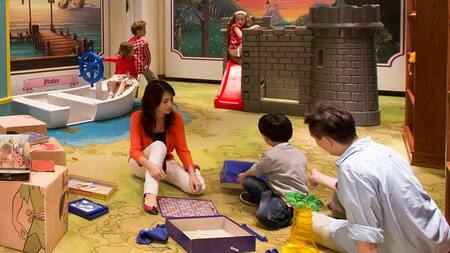 Get ready for a fun-filled evening at Storybook Playroom! 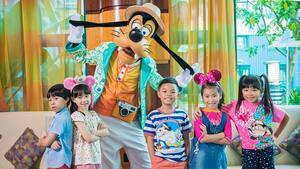 Our Cast Members have prepared a series of Disney-themed interactive games and TV games that will bring unforgettable fun to little Guests staying at the Resort hotels. 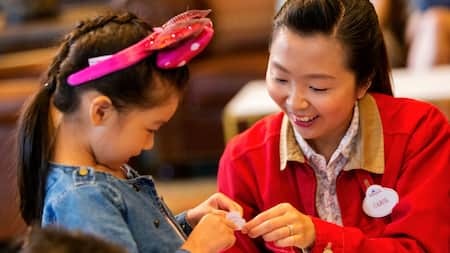 In the evening, young Guests at any of the hotels can head over to Hong Kong Disneyland Hotel to participate in “Disney's Story Time” at the Storybook Playroom. 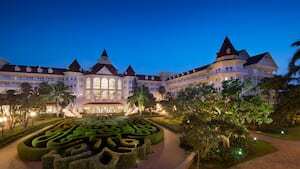 Cast Members will tell vivid Disney tales as they walk through a giant storybook, entering a whimsical play area where children can let their imaginations run free. Take a break from your exciting adventures and join fellow explorers in this respite surrounded by the wonders of nature and diverse cultures. Stay in rooms with Victorian-style elegance and an indoor and outdoor pool. Enjoy spacious rooms at this Hollywood-themed hotel featuring a piano-themed outdoor pool. 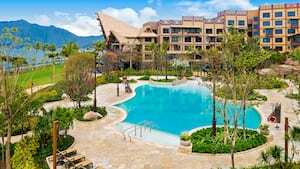 Save more when you stay for 2 or more consecutive nights. Book now and pay later. 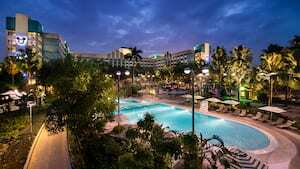 Enjoy FREE room upgrade plus Attraction Priority Admission Pass! 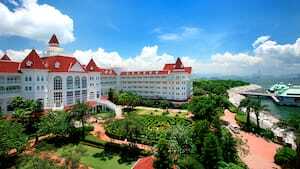 Indulge in a perfect getaway with a two-night stay at Disney themed hotel, park tickets, dining and more privileges. Flexible package combination for party of 2 to 4! 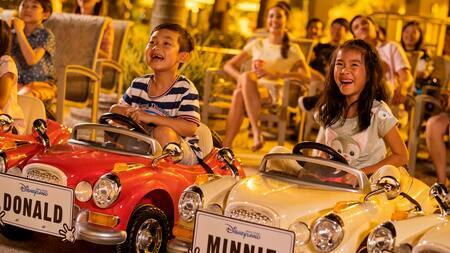 Enjoy great savings with our hotel and park tickets package! Book now and pay later. 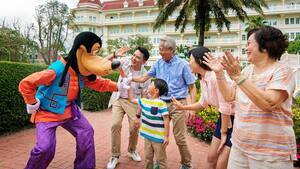 Enjoy FREE room upgrade and Attraction Priority Admission Pass! Subject to availability and weather condition. All activities are subject to change without notice.